Botox is one of the best-known treatments used to temporarily relax muscles, fading dynamic wrinkles and expression lines such as those found on the frown/forehead, crow feet etc. The aim is to eliminate the appearance of these lines which occur due to repetitive muscle movements. 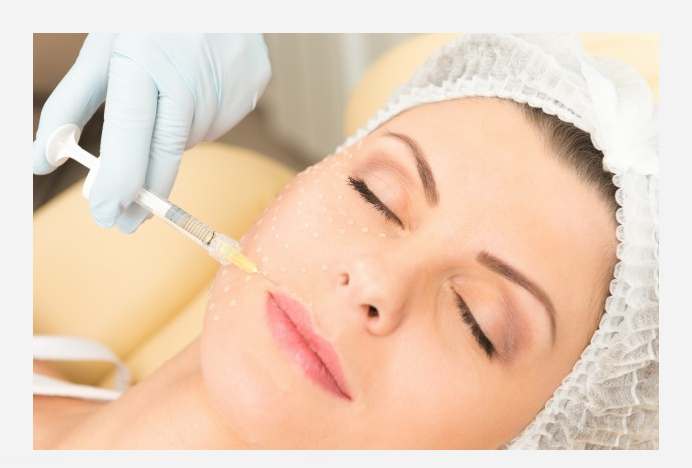 Botox is one brand name of Botulinum Toxin (there are others such as Azzulure, Bocouture etc) and is a purified protein that’s produced by a bacterium, Clostridium botulinum. In a society where appearance is everything, the demand for Botox is continuously increasing, particularly in the 30’s - 50s bracket. Every year, a good number of Botox treatments are carried out for those who seek a softer, smoother and generally more youthful appearance. It can be great for anybody who wants to look refreshed, whether male or female. The treatment is administered via injection and is a non-surgical procedure which takes around 15-20 minutes (excluding consultation). Botox is FDA approved, therefore making it a safer, more trustworthy method to achieve a softer, smoother and youthful appearance. The benefits of Botox are countless. Botox reduces and eventually removes dynamic wrinkles and fine lines, relieves migraines, reduces or temporarily eliminates excessive sweating (Hyperhidrosis) and it’s even used for teeth grinding (Bruxism). Since it relaxes the nerves, patients suffering from Bell's palsy (a condition in which muscles on one side of your face become weak or paralyzed) can benefit from it. It’s been used medically before it was used for its aesthetic benefits. Botox simply prevents the release of the neurotransmitter acetylcholine which causes the contraction of the muscles. One can still maintain natural movement/facial expressions, so long as the treatment is performed by an experienced medical practitioner. Botox is very popular with both men and women and typically lasts 3 to 6 months. However, the recent study in the US now suggests patients receiving Botox treatment can reduce wrinkles with half as many sessions after 20 months. The study also shows that these injections have a prophylactic effect with patients who first started receiving the treatment in their 20s and 30s are able to prevent dynamic wrinkles from even forming. Before injecting the Botox, the area is cleaned. The Botulinum toxin is then diluted in a saline solution and injected into the wrinkle lines using a diabetic needle, or a micro-needle. This reduces the targeted muscle activity and blocks nerve impulses to those tissues where the wrinkles have formed, without affecting the functions of other non-targeted facial muscles, thus maintaining your natural facial expressions. The procedure takes between 3-7 days to show the full effects, smoothing the lines and wrinkles and giving you the kind of glow you get when you’re very relaxed. It’s crucial to highlight the fact that expectant and lactating mothers shouldn’t undergo this procedure. Moreover, individuals who have an allergic reaction to any medication that consists of Botulinum as one of its ingredients shouldn’t have a Botox treatment. Swelling or temporary redness or bruising around the injected area. Excessive tearing or eye dryness. The side effects are rarely exhibited and when they occur it should not be a cause for alarm. Botox treatment temporarily restores one’s face with a well-rested, smooth glow of youthfulness. The fine lines, dynamic wrinkles, and creases are barely visible. The treatment prevents the development of more wrinkles on elderly patients. As soon as 24-48 hours, one could start seeing the wrinkles beginning to fade. Over the next five days, their disappearance will be more pronounced. After two weeks the muscles will be completely relaxed. The results will last for about 3-6 months after which the Botox will begin to wear out. This is due to the fact new nerve endings begin growing. If one is having regular Botox treatments, the re-growth of the nerves is slowed down. Through observations, it’s evident that after 18-24 months of regular Botox treatment, there’s a longer interval required for muscle regeneration. The treatment can be used together with other non-surgical treatments such as microdermabrasion and skin peels. If used together with surgical treatments like eyelid surgery and facelifts, Botox treatments will have an overall longing lasting effect. The treatment process is now considered as a cosmetic procedure and categorized as a medical intervention. It is important to note that the procedure should only be carried out by a licensed doctor, dentist or nurse with experience and administered as recommended/prescribed. Dr. Goyal, the lead GP, runs the MK Aesthetics clinic in Milton Keynes. He is also a dermatology doctor/GP partner at a practice in Milton Keynes and part of the dermatologist team in Bedford Hospital. Dr Goyal is Harley Street trained and certified to carry out all the treatments offered at MK Aesthetics. A specialist in the field of Cosmetic Medicine, you can be sure you’ll be in safe hands.